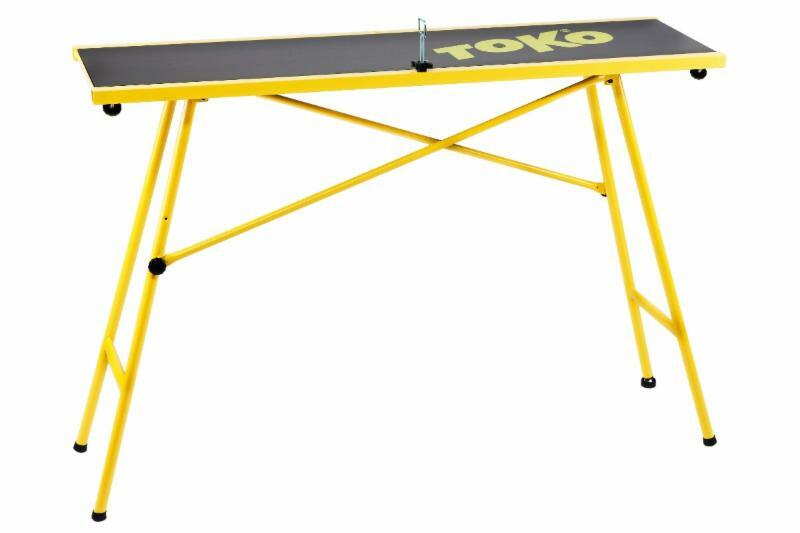 The Toko Workbench Small is a multifunctional lightweight stable wax table with 4 non slip rubber feet. 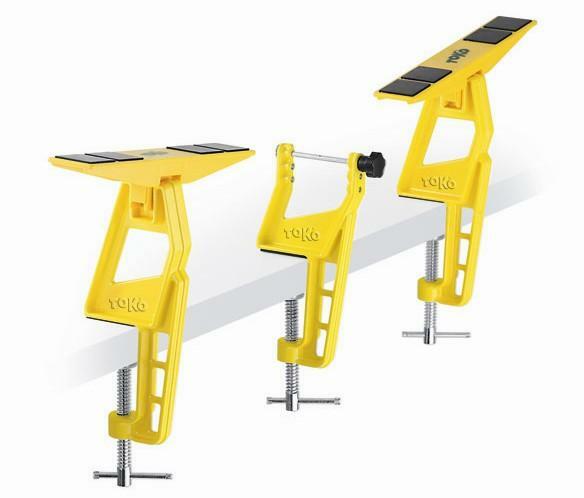 Its height is adjustable between 87cm, 85cm, or 75cm to accommodate waxers of all ages and heights. The work area (surface) is 120cm x 35cm and it weighs 11kg. MSRP just $164. These plastic profiles fit the workbench small only. They include the middle binding clamp piece (not pictured). 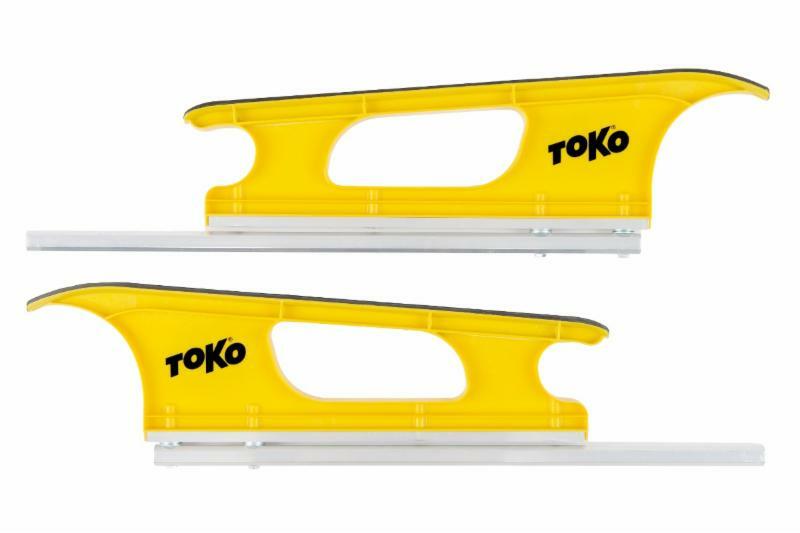 These profiles are suitable for both classic and skating length skis (170-210cm) and weigh just 1.4kg. MSRP $130. Note that you can buy two XC Profile Sets, mount them on opposite sides of the workbench and be able to work on both skis simultaneously! Simple very compact fixation device for Nordic skis (both skating and classic). Very adjustable to fix all lengths including kids length skis. Ideal for traveling, for waxing "on-site", and for at home. MSRP $126. You can also buy two of these and mount them on either side of the workbench. There are also two options for downhill skis and an option for snowboards. Not all Toko products can be found at Toko retailers. Here is a hyperlink to the Toko pages of some of our online dealers. Additionally, every Toko product can be found at TokoUS.com. Orders placed at TokoUS.com will probably be filled by our dealers who have opportunity to claim and fill the order if they have everything in stock.